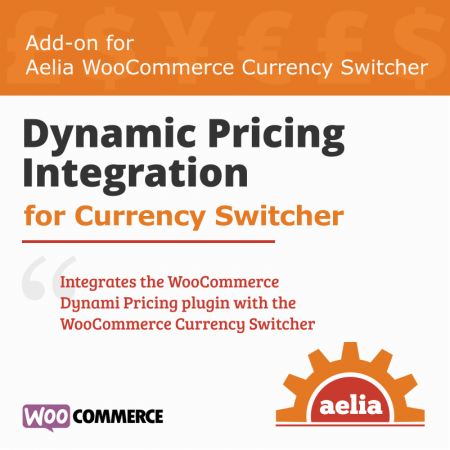 This plugin is an integration between the Bundles plugin and the Currency Switcher for WooCommerce. Once installed, the prices of bundles will be automatically converted into the active currency. 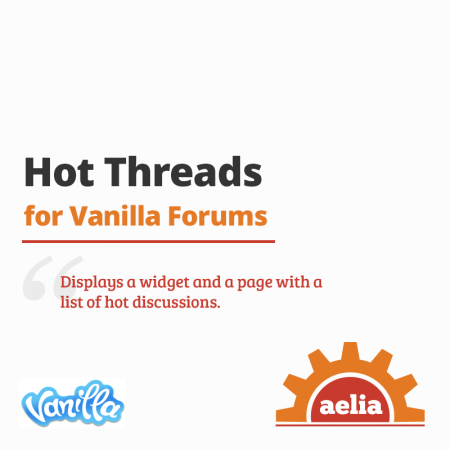 Note: this free plugin does not include support. Should you need support, you can contact us to request a consultation (hourly rates apply). The WooCommerce Bundles Integration for Currency Switcher is a lightweight plugin that we developed, as a temporary solution, to compensate for the lack of multi-currency capabilities in the Bundles plugin. Its purpose is to add support for multi-currency environments to the official Bundles plugin, and to give the 3rd party authors the time to make their products multi-currency aware natively. 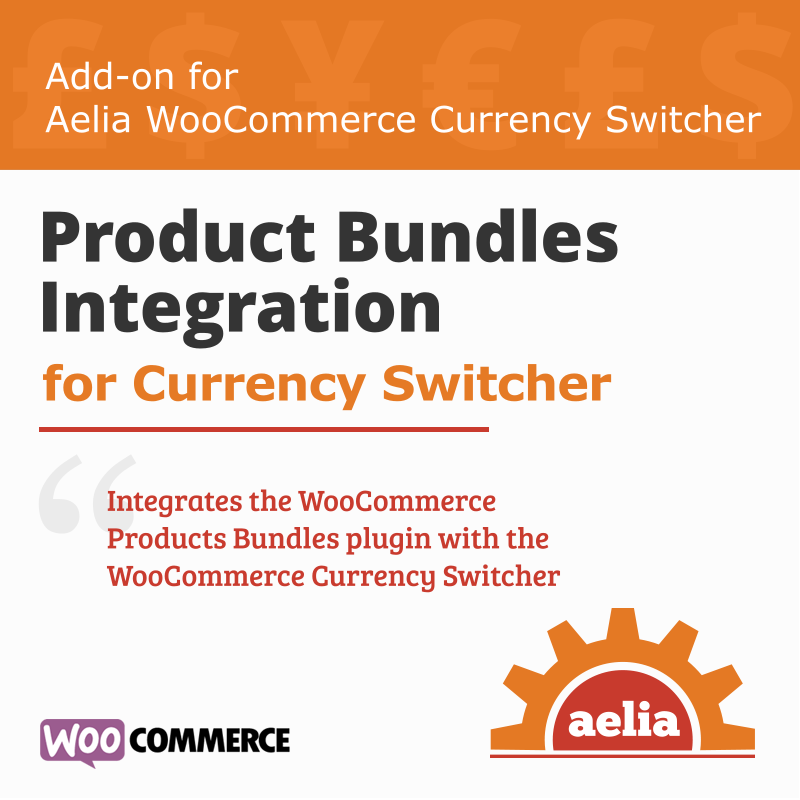 The plugin automatically integrates with our Currency Switcher and the WooCommerce Bundles plugins. This addon doesn’t need any setup or configuration, it’s designed to work automatically when needed, as soon as it’s activated. One click setup: it will work automatically, as soon as it’s activated. Ensures that prices configured through the Bundles plugin are properly converted to the active currency. Aelia Currency Switcher 3.8.14.151214 or later. WooCommerce Bundles plugin 5.1 or later (tested until version 5.1.2). 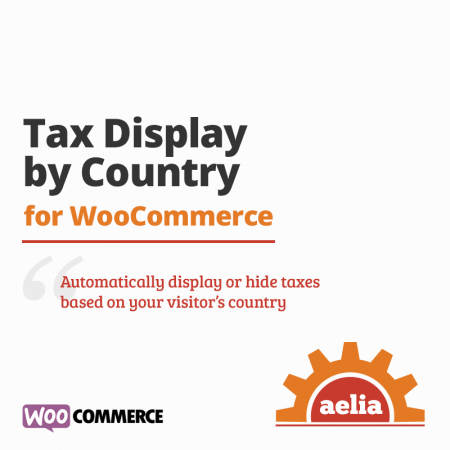 Aelia Foundation Classes for WooCommerce 1.6.7.150910 or newer (the plugin can install the framework automatically). The change log is not available for this product. Should you need information about this product, please feel free to contact us. nice – however, if a bundles base-price is not in the shops base-currency, the price is not show. Price is only shown as soon as a bundled product is added. If the bundle’s base-price is in the base-currency, it works. Thanks for your feedback. What you describe is possible. The integration is, and has always been meant to be, a temporary patch, and it can only alter the Bundles plugin to a limited extent. The extensive changes introduced in Bundles 4.0, then in 5.0 and then again, a few weeks later, in Bundles 5.1 introduced further limitations to what an external plugin can do. To cover all aspects of multi-currency shops, support for multiple currencies has to be added to the Bundles plugin itself, by its authors. This applies to other plugins as well (e.g. Composite Products, Subscriptions, etc). Based on our years of experience with thousands of different configurations, external integrations can only be temporary solutions. Native multi-currency support is the way to go, to ensure maximum compatibility. Of course, we will have a look at the bug you reported, to see if there is a way to “trick” the Bundles plugin into showing the price anyway. As we wrote in our recent announcement, we encourage our users to contact 3rd party authors and register their interest in having multi-currency support included in their plugins. This is especially important for plugins like Bundles and Composite Products, because their authors have recently introduced changes that might make multi-currency support harder to implement in future versions. The sooner they add such important feature to their list, the easier will be to add it and maintain it.